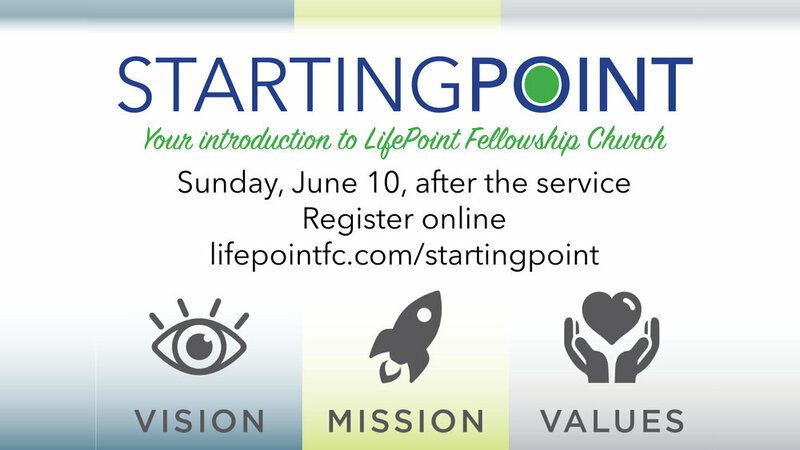 At Starting Point, you will learn about the mission, vision, and structure of LifePoint. We will also share how you can serve in our church's ministries. If you've been visiting LifePoint and would like for this to be your church home, plan to attend Starting Point on Sunday, June 10th, after the worship service. We'd request that you sign up at LifePointfc.com/startingpoint.